Workers protest the government’s plan to cancel seven public holidays and implement a five-day workweek at a march in Taipei yesterday. Several protesters were hurt in skirmishes with police after some demonstrators stormed the Legislative Yuan in Taipei yesterday during a rally in front of the government building to oppose an amendment to the Labor Standards Act (勞動基準法) that would cut the number of national holidays from 19 to 12. The DPP caucus rushed through the amendment during a legislative meeting on Oct. 5, sparking a series of protests. “President Tsai Ing-wen (蔡英文) was a very different person when running for president. The DPP is no different from the Chinese Nationalist Party (KMT) in rushing through controversial legislation,” Tainan Confederation of Trade Unions director Tseng Shih-hung (曾世宏) said. Protesters demanded that the amendment be returned to the legislature’s Social Welfare and Environmental Hygiene Committee, that the government hold public hearings on the amendment, and that all 123 holidays and regular days off stipulated in the act — 19 public holidays and 104 weekly days off — be preserved. “We take to the streets today not because people in a particular line of work are infuriated, but because the whole nation is overworked,” Taipei City Confederation of Trade Unions director Cheng Ya-hui (鄭雅惠) said. While the Cabinet and the DPP caucus said the planned cancelation of seven holidays was to provide cohesion between the nation’s various leave schedules, protesters said their idea of coherence was to ensure that all workers — including government employees — are entitled to 123 days off per year. New Power Party (NPP) Legislator Huang Kuo-chang (黃國昌) said the legislative meeting on Oct. 5 was illegitimate, and the NPP would not sit on its hands if the DPP tries to bulldoze legislation through. “I was protesting against the KMT rushing the cross-strait service trade agreement [through the legislature] two years ago, but I did not foresee such a thing would happen again in the new legislature,” he said. KMT legislators Arthur Chen (陳宜民), Johnny Chiang (江啟臣), Lee Yan-hsiu (李彥秀) and Chiang Wan-an (蔣萬安) also vowed to reject the DPP’s attempt to confirm the minutes of the Oct. 5 meeting at today’s legislative meeting. The DPP did not send a representative to speak with the protesters. Rally leaders vowed to stage a larger protest next month when the second and third reading of the amendment might take place. 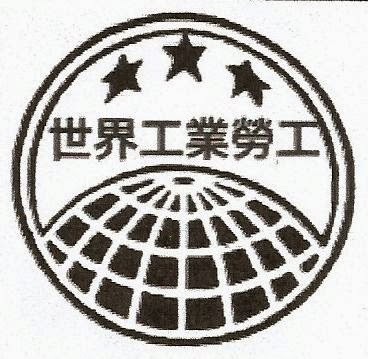 Eleven activists from the Taoyuan Confederation of Trade Unions and the Taiwan Higher Education Union allegedly forced their way into the premises of the Legislative Yuan through a side fence and spray-painted slogans on a side building while protesters massed at the Legislative Yuan’s front door and some threw eggs at the buildings over the police cordon. Clashes broke out between protesters and police following a two-hour standoff when the police tried to evict the protesters from the compound, and allegedly injured Taoyuan Confederation of Trade Unions secretary-general Lin Chuang-chou (林莊周) and several other protesters, who accused the police of inappropriate use of force.